Surgical Strike 2.0 Latest News, Indian Air force Operation Balakot, Highlights This is Very important update of civil Service exam interview of RO ARO, IAS, PCS and other Bank PO Clerk exam. 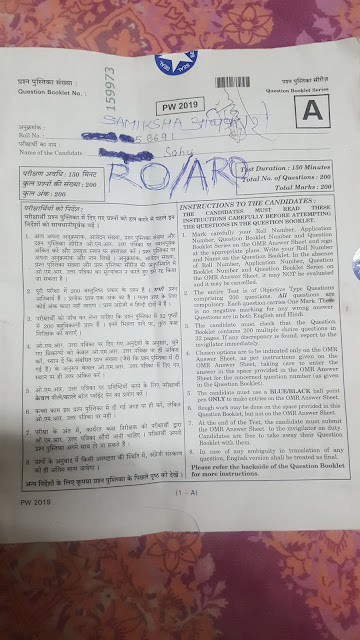 Hello Friends, Today we have uploaded RO ARO Question Paper Pdf of 24 February 2019 Exam conducted in Kanpur. Talking about RO ARO Samiksha Adhikari which we named it as a honour with Review Officer was very had. We live near Prayagraj Holy Place of Sangam, Kumbh and we hope you have visited Kumbh in Life Time Ones. India Air force Airstrike on POK 1000 KG Bombs Indian Airforce Attack With 1000 KG Bombs, Pulwama Attack, Second Surgical Strike On Pakistan Launching Pads, 26 February 2019, News.